Greenville, Wis. (May 9, 2018) – QComp Technologies, a robotic systems integrator headquartered in Greenville, has become part of OwnersEdge Inc., an ESOP holding company based in Brookfield. 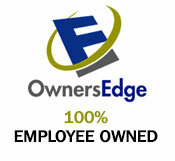 As of May 1, all QComp employees are now 100% employee owners through the OwnersEdge ESOP. QComp was founded in 1990 by Tom Doyle and provides robotic packaging systems, material handling systems and automation line integration to clients throughout the United States and Canada. All of QComp’s employees will continue with the company and its name and headquarters will remain the same. Lisa Reardon, president, CEO and chairman of OwnersEdge, will become CEO of QComp and work with the executive management team. For the past five years, Doyle has been transitioning daily operations to John Schwan, vice president of sales and marketing, and Greg Whitney, vice president of engineering and manufacturing. QComp and OwnersEdge have been engaged in acquisition discussions for the past 13 months. To guide QComp toward future growth, an advisory board will be established and the company will adopt the OwnersEdge strategic planning process. 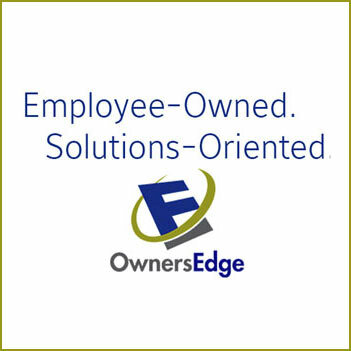 OwnersEdge will also handle QComp’s human resources and administrative functions, along with integrating employees into the ESOP.